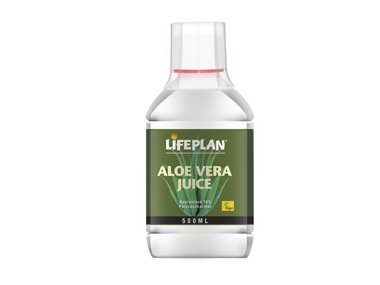 Buy Lifeplan Aloe Vera Juice Unflavoured - 500ml in the UK from our online shop or directly from our independent Scottish store. This aloe vera juice provides pure aloe vera which is guaranteed to contain at least 10% polysaccharides, the active substances in this plant. CONTAINS NO: added sugar, salt, starch, lactose, gluten, soya, yeasts, flavourings or colourings, or animal derivatives. Where can you buy real Aloe Vera Juice 500ml safely online? If you are wondering where you can buy Lifeplan Aloe Vera Juice Unflavoured - 500ml safely online in the UK, then shop with us. Aloe Vera Juice 500ml - Lifeplan Aloe Vera Juice Unflavoured - 500ml in Digestive Aids and Herbal Remedies, Tinctures & Supplements.